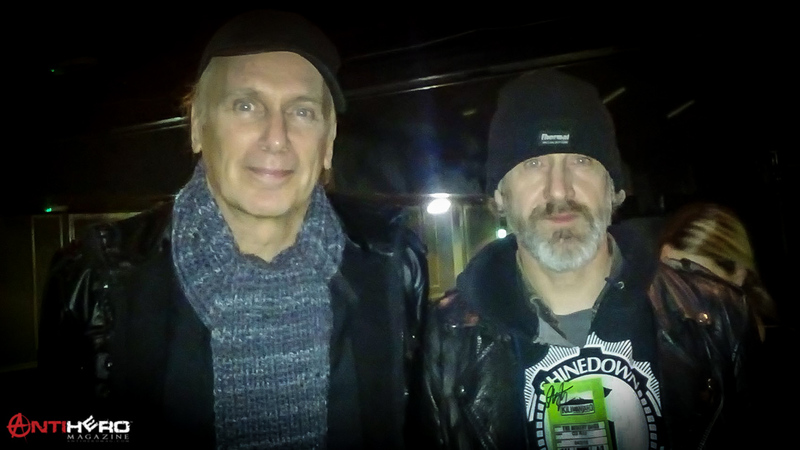 [separator style=”line” /] Antihero Magazine’s senior journalist, Mark Dean, spoke to Billy Sheehan, the legendary bassist who has performed in so many outstanding bands throughout his career, such as Talas, Steve Vai, David Lee Roth, Mr. Big, Niacin, and most recently, The Winery Dogs. Okay, what was your first musical memory? Was it a song on the radio or something else? “Seventy-six trombones led the big parade, with a hundred and ten cornets close at hand.” It was a song called “Seventy-Six Trombones” (by Willson Meredith). My mom was also into Sinatra, Ella Fitzgerald, all the great singers. I don’t even think about it. I don’t even think about a legacy. I’m just trying to do my best. I think, you know, I just, play bass. If I thought about my musical legacy, it would worry me that I was thinking about that kind of a thing. If you were on a deserted island and you could pack two albums, one by yourself and one by somebody else, what would they be? I would never take an album by myself. I don’t listen to much of my own stuff because it’s, you know, I already heard it. But I would take AC/DC Back in Black and I’d take Frank Sinatra Live at The Sands with Quincy Jones conducting. Do you still have hopes dreams and ambitions? Yeah, I want to play bass better. I want to be a musician. I want to write better. I want to play better. I want to play more places. I want to play forever. 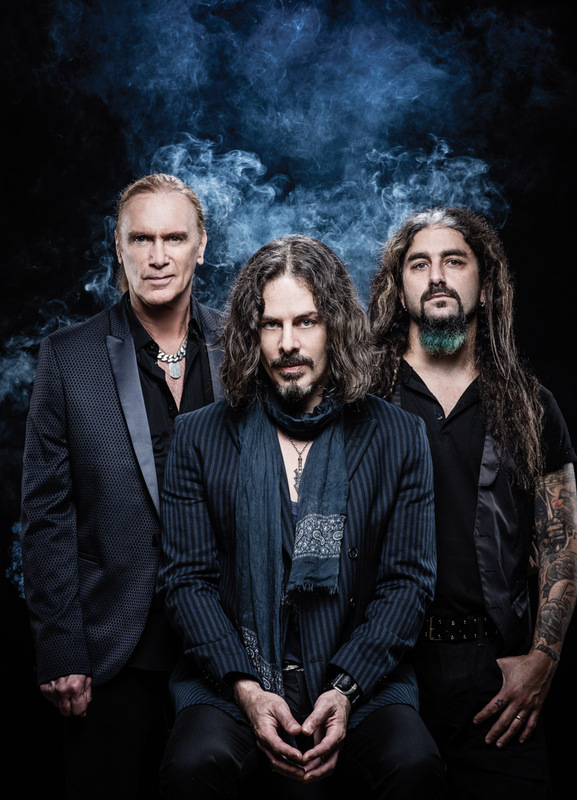 Winery Dogs, when they first came out they had their own label of “supergroup” thrown at them. Who would be in your personal supergroup of musicians? Oh, probably Jimi Hendrix and Billy Cobham. Do you feel that being fired from Mr. Big was the lowest point in your musical career given that it was your own band? Oh, no, I was doing good. I was playing really well and I had a great side project called Niacin, playing with Dennis Chambers, the greatest musician I know and I was also very active with Steve Vai at the time. We had a, we still have a wonderful relationship so at the time it was kind of a relief. It was kind of nice. Was the reconciliation process for you rejoining the band, was that an easy process? Well, I was never actually out of the band, but yeah, getting together again years later was easy. How do you explain the bands that you have played in and the enduring appeal of classic rock as a musical genre? It has survived and remains popular today in 2016. Oh, I don’t know, I think we’ve got a lot of fans through the years and they enjoy what the band does so when we do something new, they seek it out and we are very pleased that they do and we do our best to play our best for them and write our best for them. Not to pander to them, but we do want them to enjoy it. Obviously, time is precious to you. Do you have any hobbies or pastimes outside music? Or is music all-encompassing in your life? Not much. My hobby is iTunes or the English language. I am sure that you have done countless interviews over the years. If you were to sit down and interview someone, who would you pick to do a face-to-face? Who would you want to ask questions? Okay, that’s great. Thank you very much, Billy. It’s unfortunate that time schedules didn’t allow us to do a full interview (the band had to leave to catch a flight).